Categories Alarm Systems Wireless Alarm Systems Accessories CCTV Systems Easylife PRO Camera Series Wired CCTV Systems Wireless CCTV Systems Door Entry Systems Vehicle Reversing Systems Accessories Video Senders SCART Models HDMI Models Long Range Models Accessories HDMI Distribution Solutions HDMI Cable Solutions HDMI Wireless RF Solutions HDMI Powerline Solutions HDMI Over IP HDMI Fibre Optic Solutions Fibre Optic Modules OM3 Cable Series SMF-Cable-Series Media Players TV Media Upgrades Accessories Interactive Signage Signage Distribution Products Signage Generators Tablet Computers Accessories Tablet Job Lots Tablets Home Automation EcoSwitch Automatic Lighting Remote Power Switches DigiSender LIVE OS Bargains!!! 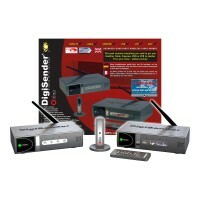 A ‘Plug Style’ DigiSender suitable for transmitting your Satellite, Digital TV, DVD, VCR, Hard Disk .. 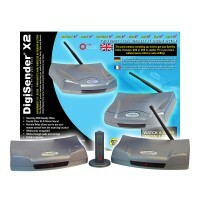 The Leading Video Sender from the Digisender Range You can use the DigiSender X2 Wireless Video Send.. 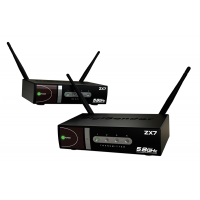 In the modern home, wireless products have become increasingly popular. Equipment such as wireless v.. 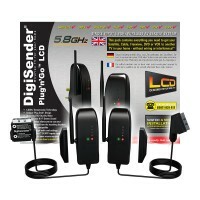 The all new DigiSender X7 (DG440) takes many operational ideas from the previously launched DigiSend..